As a new business owner, the amount of tax you pay will be influenced by several factors, including the nature of your business, where you live, and how much profit you make. However, one of the most important decisions you’ll make is choosing the legal structure of your business. There are several kinds of small business structures, and each come with their own tax implications. Considering the taxation laws on different business types can help you decide which form to take. The four main legal structures for startup businesses are as follows. 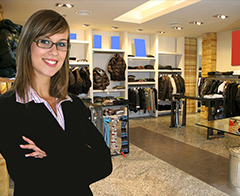 Sole proprietorship: Here, the business and the owner are legally the same. The company is not a taxable entity, but the business assets, liabilities, and income are treated as belonging to the business owner. To obtain a sole proprietorship, you will need to have your personal finances in order, so you might want to consider applying for a small business loan. If you’re looking to move to a new location, hire employees, or refinance an existing loan, SBA loans are a great option. General partnership: As with sole proprietorships, the business and the owners (two or more) under a general partnership are legally the same. The partnership is not a taxable entity under federal law, so there is no separate partnership income tax. Therefore, income from the partnership is taxed to the individual partners at their own tax rates. Limited liability company (LLC): An LLC is a separate legal entity. Under state laws, LLC owners are given the liability protection that was previously afforded only to owners of a corporation (shareholders). LLCs have “pass-through” taxation, which means that no tax on the LLC’s income is paid at the business level. Instead, profit and loss are reported on the personal tax returns of the owners. Therefore, any tax due is paid individually. C Corporation: C corporations, also known as “regular” corporations, are subject to corporate income tax. As such, income earned by a C corporation is normally taxed using the corporate income tax rates for that state. C corporation income is also subject to what is called “double taxation,” whereby profits are distributed to the owners in the form of dividends. Those dividends are then taxable. The owner’s salary is also subject to income tax. For those who are self-employed or run a business alone, a sole proprietorship is an obvious choice. On the whole, however, most startups decide to take on an LLC or C corporation structure. There are advantages and disadvantages to both. For example, establishing your company as an LLC will limit liability for legal, tax, and cost affairs. However, you’ll have to file a federal tax return every year, and setting up as an LLC often has high upfront costs. In this instance, you’ll want to prepare your taxes in advance to avoid any unexpected tax bills. On the other hand, C corporations offer great potential for business growth. A C status will also give you higher credibility than an LLC, so you’ll have an easier time securing business loans. Your company will also benefit from the fact that there’s no limit on shareholders. The downsides to establishing your business as a C corporation is there is a high number of rules and regulations, and C corporations are often subject to government oversight. By far the greatest downfall of C corporations is that they are taxed twice: once as a business, before dividends, then again when dividends are distributed. Conversely, in LLC companies, profits are divided between owners and each pays their own taxes. When you start a business, you may also need to consider the tax implications of being an employer. The same applies if you are taking on workers off the payroll. In this instance, make sure you know whether people are employed or self-employed. To figure out how much income tax to withhold from your workers’ wages, you should have a Form W-4 on file for each employee. You can ask all new employees to give you a signed Form W-4 when they start work, and you should make the form effective with the first wage payment. Misunderstanding what the legal implications are of hiring people could damage your business, so be sure to stay well informed, and consult an employment lawyer if you’re not sure. Another important consideration is how your company will be protected in the event of a lawsuit. Many advisors recommend sole proprietorship because of its simplicity, but there is one major problem with this setup: a sole proprietorship provides zero legal protection. If your business is sued, all of your business and personal assets can be taken. If you are sued personally, all your personal and business assets can be seized. In other words, a sole proprietorship puts all of your professional assets and personal assets at risk. The bottom line is this: if you own assets in your name (as a sole proprietor or in a corporation), they can be taken to satisfy a judgment. However, there are legal entities you can use to protect 100% of your professional and personal assets, such as LLC or FLP (family limited partnerships). The LLC is an ideal structure to protect real estate and other high-risk assets. How do tax levels vary from state to state? Each state in the US decides its own rates of taxation. Therefore, you should be prepared to pay varying rates of tax if your business operates across the country. Traditionally, Delaware, Nevada, and Wyoming offer low rates of taxation for businesses, including those who come from abroad. This is the reason that many foreign companies decide to form subsidiary companies in these locations. However, you may also need to pay tax on the money your business generates in the other states you’re operating in; you should always seek advice from a specialist tax advisor. When choosing a legal structure, you will need to consider the upfront costs of setting up and the level of liability you’d like to limit, as well as tax costs and legal fees. 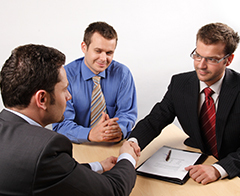 If you have any questions or concerns, you should consult your lawyer for further advice. 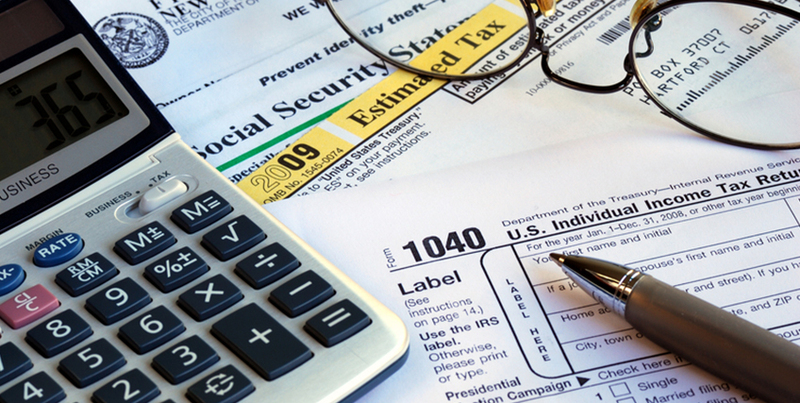 There are significant income tax consequences that flow from how you set up your business. However, when deciding on a business structure, don’t forget to weigh the tax issues against non-tax issues, such as which business form will best help you best grow your business and protect your assets.